It's 1973 in South London. Teenage friends Chris Difford and Glenn Tilbrook form the band that will see them dubbed 'The New Lennon and McCartney'. Over 35 years later, with their legacy intact and as vital as it has ever been, Squeeze are still touring and reminding fans worldwide just why they have left such an indelible impression on the UK's music scene. As teenagers on the South London scene, Squeeze - setting out their stall early on by facetiously naming themselves after a poorly-received Velvet Underground album, comprised of Jools Holland on keys, Harry Kakouli on bass and Paul Gunn on drums. They became a fixture of the burgeoning New Wave movement. When Gilson Lavis replaced Gunn on drums everything seemed to fall into place, and word of mouth soon spread about the band - ironically, it was none other than Velvet Underground man John Cale who caught wind in 1977 and offered to produce their debut EP Packet Of Three and much of the ensuing album. Yet it was second album Cool For Cats, released in 1979, which cemented their place as one of Britain's most important young bands. Featuring the classic single Up The Junction as well as the title track, it was many listeners' first introduction to the witty kitchen-sink lyricism and new-wave guitar music that has become the band's trademark. With albums Argybargy and the Elvis Costello-produced East Side Story, Squeeze even started to make waves across the pond, although in 1980 former Roxy Music and Ace - and future Mike & The Mechanics - man Paul Carrack would replace Jools Holland, going on to lend his unmistakeable vocals to the smash hit Tempted. By 1984 Squeeze had disbanded. The chemistry between Tilbrook and Difford could not be as easily dismissed however, and the ensuing record they made together has become the 'lost' Squeeze album for many fans. But the band couldn't lay dormant for long, as Squeeze reformed the next year for Cosi Fan Tutti Frutti, along with Holland, Lavis and Keith Wilkinson, Squeeze's longest serving bass player. Over the next 12 years Difford and Tilbrook remained the only constant element as Squeeze continued to receive critical acclaim, release albums and tour, with the likes of Hourglass becoming their biggest ever hit in the USA. Despite an official Squeeze break-up in 1999, Difford and Tilbrook continued to make music and gig with the same enthusiasm and abandon that they brought to Squeeze's first EP, either with their own solo projects or with each other. As befits one of the UK's much-loved acts, there is no end of Squeeze fans currently wearing their influences firmly on their sleeve, whether it be Mark Ronson, Kasabian, Supergrass, Lily Allen, The Feeling or Razorlight. With their fingerprints keenly felt throughout the fabric of popular music, it is only right that these songs, with their evergreen and popular sound, continue to be played and enjoyed live. And so since 2007, a newly reformed Squeeze have been slowly finding time to play a series of gigs and festival dates, preferring to reaffirm their abilities as a band rather than follow some of their peers who have come out in a blaze of publicity, only to be met with disappointment. The new Squeeze line-up, their most able yet, is completed by Squeeze veteran John Bentley and Tilbrook's Fluffers cohorts Simon Hanson and Stephen Large, and has become an instant favourite on the festival circuit since reforming with appearances at V, Oxegen, T in the Park and Latitude. Squeeze's contribution to music has been noted in 2010 with the site of their first gig being awarded a prestigious PRS For Music Heritage Plaque, which has so far commemorated the debuts of Blur and Dire Straits. It joins an ever-increasing list of Squeeze accolades ,alongside their recent Ivor Novello for Outstanding Contribution to British Music and their Nordoff-Robbins Icon Award. 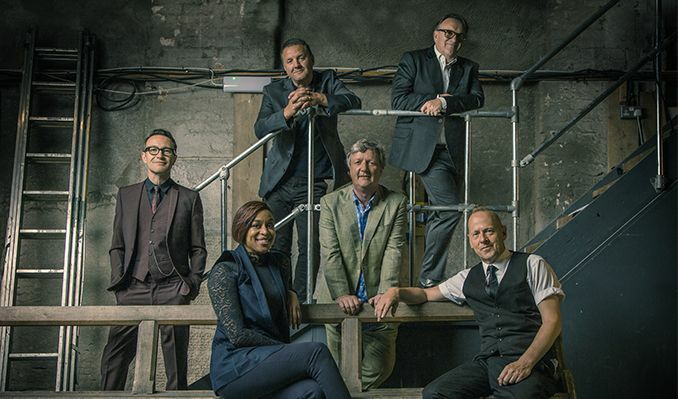 Chris Difford's lyrics and Glenn Tilbrook's music have survived everything over the years, from the ever-changing musical landscape to their own internal reshuffles and acrimonious breakups - but Squeeze is here to stay, still going strong and still loving every moment.